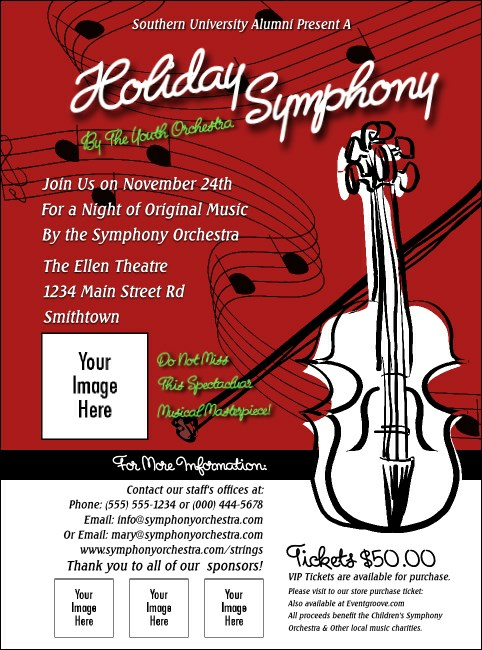 Score some big points with your sponsors when you showcase their logos with stylish String Symphony Flyers. These stunning red Flyers feature room to upload four of your own images on a brilliant red background with floating scores of musical notes and a white violin outlined in black. Don’t string your sponsors along! Advertise their logos with TicketPrinting.com.